The “2018 SoCal HMG Strategy CIO Executive Leadership Summit” speakers were all connected by the following belief: IT is changing, and the approach we as leaders use to govern and drive IT initiatives must adapt. It is not just about adopting new tools or trends (although they could help), it is about looking inward and approaching your goals and business holistically with a new lens. Several themes emerged that really captured the messages from the day. Ask your teams, how would you compete against us? 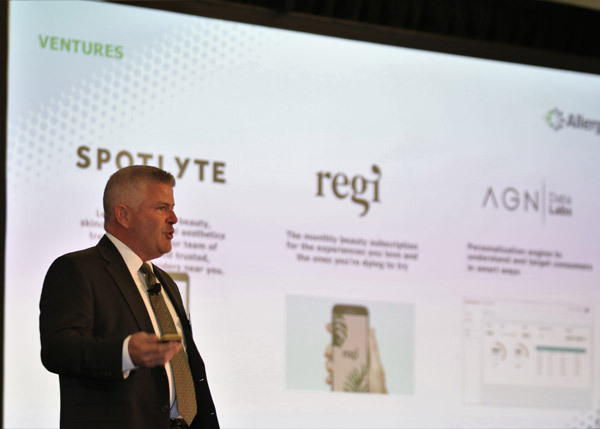 When it comes to innovation, Allergan’s CIO, Sean Lennon, asks his team a fundamental and powerful question: If you were the competition, how would you compete against us? How do you disrupt a growing business? With these subtle yet powerful questions, Lennon empowers his staff to solve both the opportunities of today, as well as prepare for the threats that will likely manifest itself in months and years to come. It allows his team to devise new approaches for customer acquisition, pricing decisions and improved decision-making processes; and offering services to stay current and relevant to its customers in an ever-changing marketplace. Lennon knows you may not always know the outcomes of innovation, and having the wherewithal to make investments that may not pan out is what differentiates Allergen. 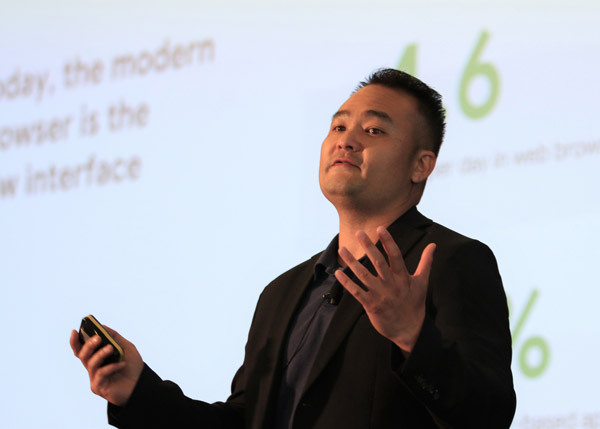 Author and perennial startup founder, Jedidiah Yueh, also embraces the need for disruption. His focus centers on the idea or concept you want to achieve, and less on having to build the entire ecosystem from scratch. To Yueh, the product or the innovation is the differentiator; if you fail at execution, the strategy will not matter. Said differently, building competitive advantage these days is not just positioning in the market, rather it is executing on a good idea from concept to the market. 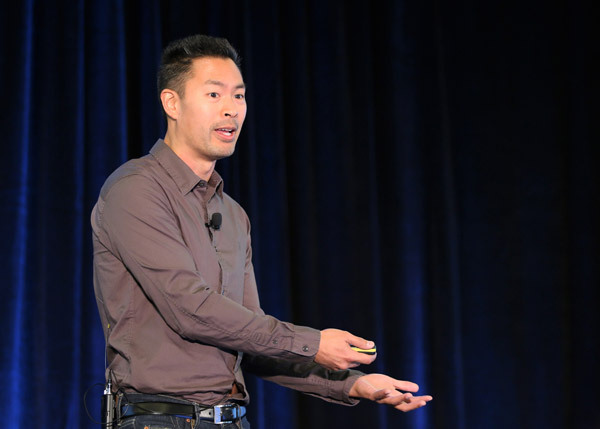 When it comes to execution, Yueh believes innovators need to leverage existing platforms and the work of others to succeed. As an example, with the proliferation of mobile devices, you can reach billions of people in seconds – others already completed the hard work to connect us all. In this sense, innovation occurs far quicker than years ago. Yueh is keenly aware that some ideas will not pan out, and that is ok – Yueh postulates that you miss the big picture if you only look at “sure thing” winning ideas. 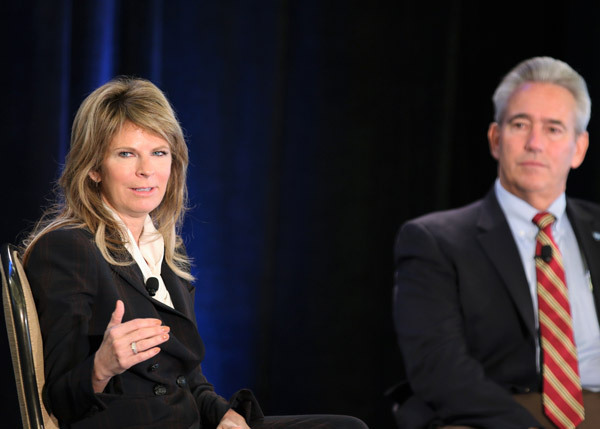 Darktrace CEO Nicole Eagan and hercofounders launched their company on executing something different and bucking convention. Darktrace uses AI to autonomously defend company networks. The company was founded on the belief that attacks will happen and the threat vectors themselves are constantly evolving. Eagan says the human-based rules and approaches of yesterday will only detect yesterday’s attacks; we need different techniques to analyze network anomalies indicative of never-before-seen threats. Eagan co-founded Darktrace on the belief of not just following expert rules, but disrupting traditional security models by enabling AI to look at all data points and make its own conclusions in preventing cyberattacks. The approach is simple, elegant, and extremely powerful all at the same time.gyhwr. Lenovo’s Ed Soo Hoo says innovation today must permeate all parts of the value stream for efficacy, in a bit of a contrast to Yueh. If we think about modern combat - you do not just acquire technology and achieve success; you must devise a cunning strategy, mobilize your troops, and execute appropriately. Also, modern tools introduce new challenges. For example, an autonomous vehicle can generate 20TB of data in an hour – and deciding how to store, process, and manage the tools could be a competitive advantage. DevOps is a great example of a disruptive trend in technology. DevOps is not a product or a single tool to acquire; it a cultural shift requiring a new holistic strategy, requiring new processes, org changes, different interactions with customers…and that could just be for one product line! Multiple DevOps streams almost becomes the “Fog of War,” where focusing on one piece you can completely lose sight of the bigger picture. In short, Soo Hoo says innovative orgs need to communicate and collaborate in new ways to manage the new strategy, stay ahead of the disruption, tie innovations back to business results, and win. As a leader, we need to create a culture to allow our teams to succeed and align. We need to empower teams to challenge and improve constantly. We need to never settle for status quo on customer engagement and customer expectations. Separately, staff cannot just take orders; people must be inquisitive, proactive, and engaged. They need to make bets, some of which will fail. But when the organization sees a good idea, allow it to pivot and reap the rewards. "It is not just about adopting new tools or trends (although they could help), it is about looking inward and approaching your goals and business holistically with a new lens." "human-based rules and approaches of yesterday will only detect yesterday’s attacks; we need different techniques to analyze network anomalies indicative of never-before-seen threats."